Like Spike: What a difference 15 years make! What a difference 15 years make! Today my youngest brother, Neal graduated from high school. 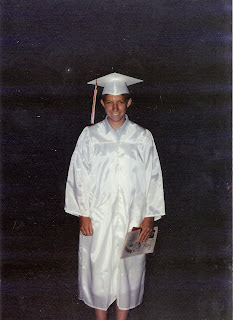 15 years ago was my graduation at the same high school. 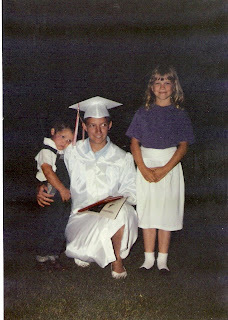 I have a photo of Neal and Jeanette with me after I graduated and Neal was unhappy that I was getting ready to leave. I decided to scan that photo and bring it with me, so I could post it with a current photo of the two of us together. It is a little strange to have my "baby brother" graduating. Am I REALLY that old?!!! Congratulations Neal, I love you!